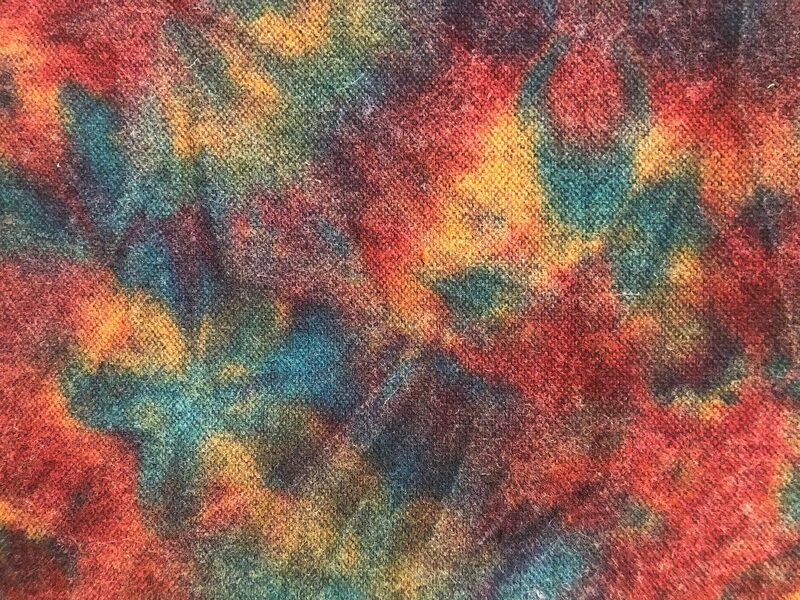 The preserve of bohemian and underground wardrobes since the early sixties, tie dye (or dip dye) has continued to become gentrified under the pen of designers in search of off-beat influences. Just this year, we spotted it at disruptive Marine Serre, authentic Stella McCartney and the bold Proenza-Schouler duo. Having become an enthusiastic regular at the spring/summer shows, the hippy communities’ symbolic print is now making an appearance in the winter collections, seriously rivalling traditional tartans and jacquards. 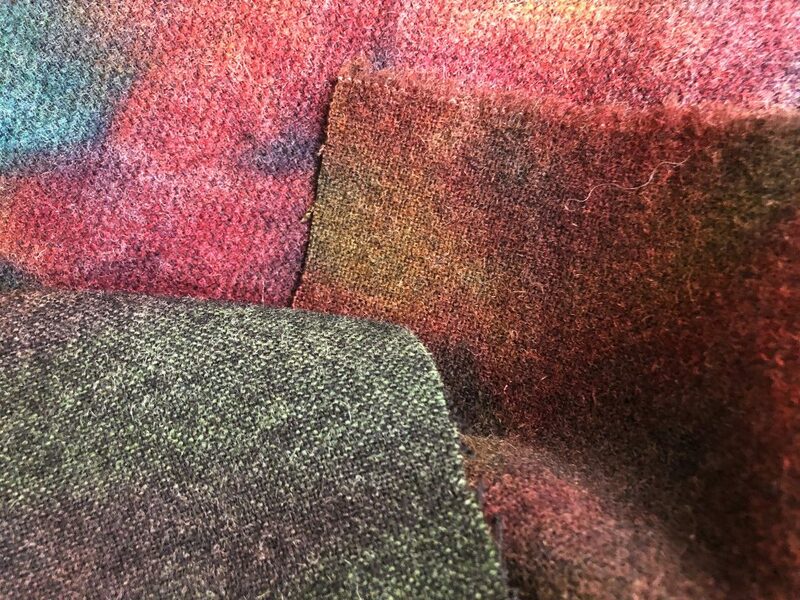 At least, this is what the AW20-21 TEXTILES study from our designers reveals, as well as the AW20-21 Menswear Book. 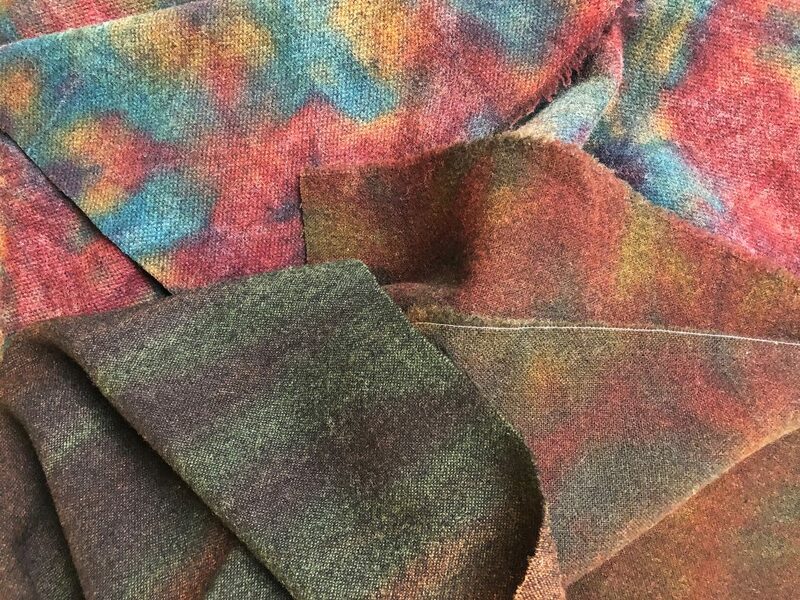 – “RAGS” Theme (pages 37 and 39) where we find the Tie & Dye fabrics of the manufacturer LANIFICIO SUBALPINO, declined in various colors. 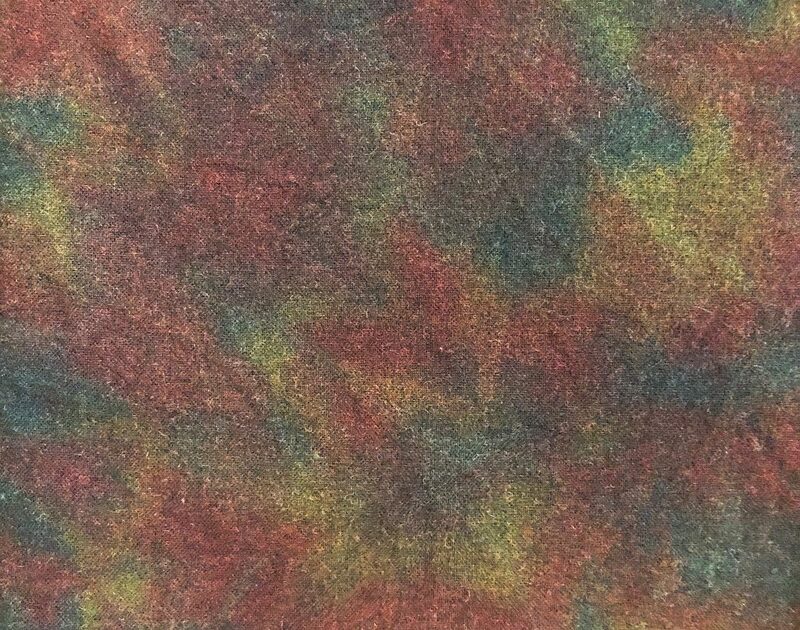 Given the streetwear influence, tie dye will be appearing from next winter on materials clearly designed to keep out the winter chill, such as velvet, wool jerseys and angora. 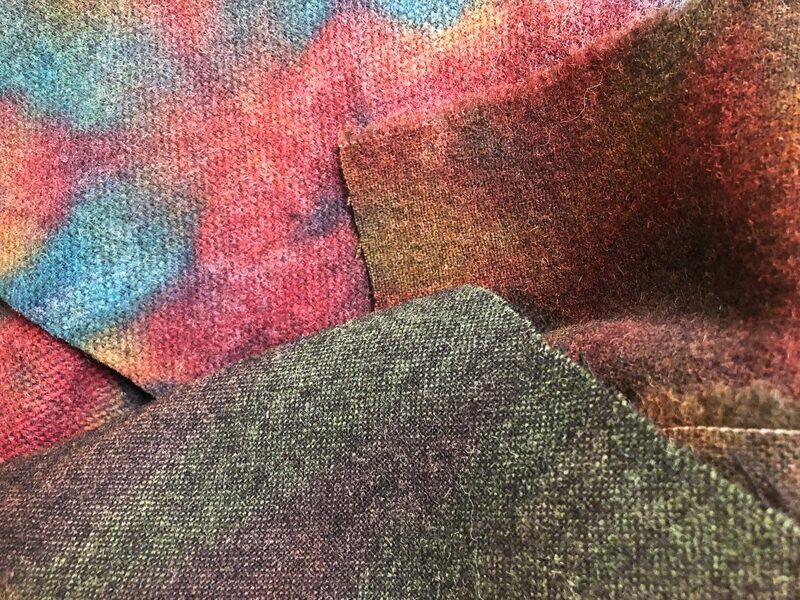 Knits, whether intended for clothing or upholstery, now feature dyes with a craftsmanship feel, creating colour fusions and striking optical effects. 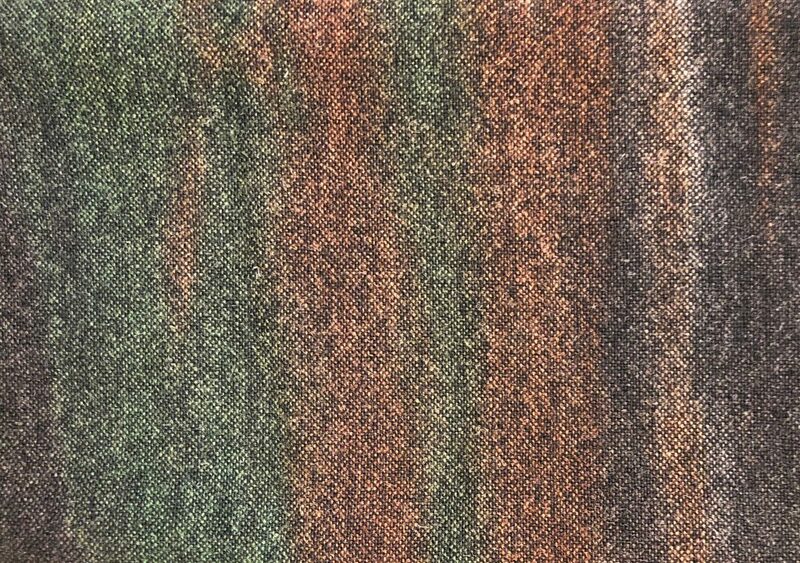 Like the spray of an aerosol used for graffiti, the brushed or washed finish of a basket weave wool cloth offers tie dye a new identity at the frontiers of smart casual.